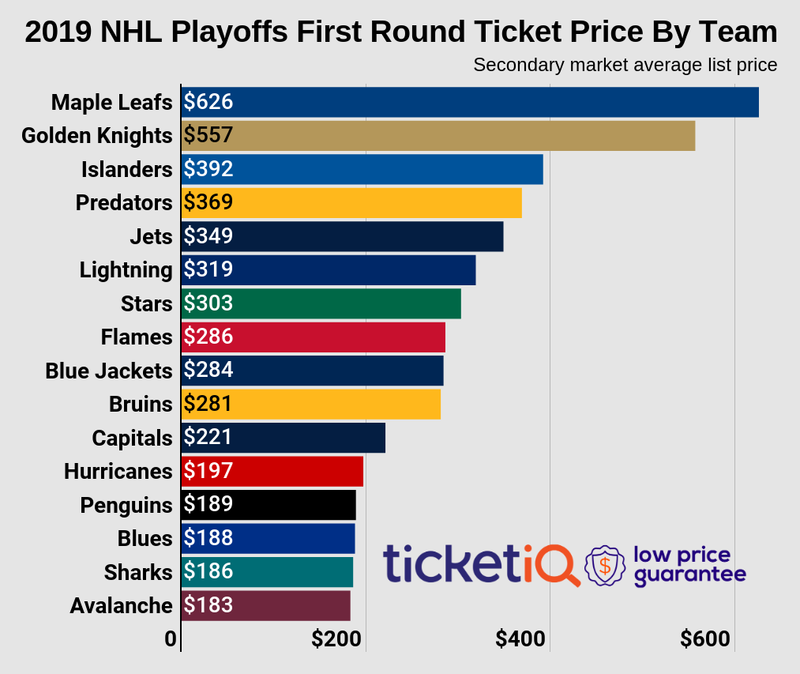 Here's a look at the average NHL secondary market ticket prices for the 2018-19 season. Here's a look at the average NHL secondary market ticket prices for the 2017-18 season. Below Are Average Prices From Previous NHL Seasons. Remember, for the best deals on NHL tickets, from the preseason all the way to the Stanley Cup Finals, visit TicketIQ.com.